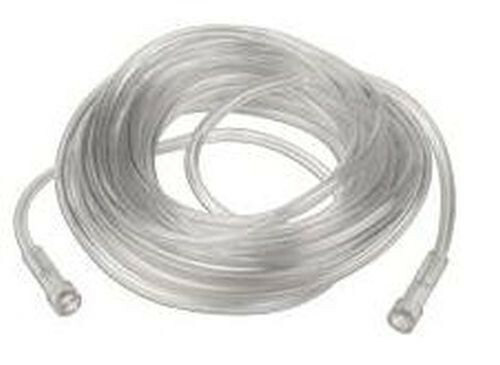 The Allied Healthcare Sure Flow Oxygen Tubing is a huge upgrade from any current oxygen tube you may have that is not the most optimal choice for your oxygen tubing needs. The 50-foot length is the maximum length most oxygen concentrators are able to support without the distance affecting the flow and rate of oxygen; while a 25-foot length provides a much shorter need for oxygen tubing in the area. 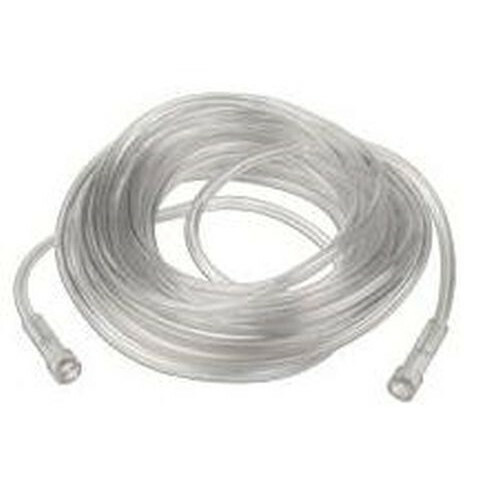 The Allied Healthcare 64234 Sure Flow 50ft Crush Resistant Lumen Oxygen Tubing is to be used with oxygen concentrators and is able to be cleaned just like any other oxygen tubing regardless of length. The tube must be replaced every so often, depending on your amount of usage in order to minimize the growth of bacteria. The Allied Healthcare 64232 Sure Flow 25ft transparent design of the Sure Flow Oxygen Tubing allows it to be clearly visible to notice if any build-up has occurred. A key benefit liked by many is the resistance of the lumen to be crushed, with a high impact ability, you can be sure your lumen will remain in great working condition for the life of your oxygen tube. Different options are available as well with different features, the crush resistance is one feature that is found very few options out there, if you would like to see the variety of oxygen tubing, please take a look at our other oxygen tube options and see what works best for you. A few days ago I asked here if you could confirm to me if Item # 64234, (Oxygen Tubing Sure Flow 50 Foot Smooth) is kink resistant. Unfortunately, to date, I have not received a reply, yet. A new question is: Do you have nasal cannulas with curved prongs? Could you please reply asap, as I have urgency to purchase these items. I recently bought an Oxygen Tubing, from another company, but I am unable to use it, because it bends all the time, which results in cutting the supply of oxygen. I would like you to confirm, please, that the tubing, item #64234, does not kink. I think all these tubes eventually start kinking. I just received mine and I'm hoping it won't. Vitality is such a great company. Ships faster than my oxygen provider and it's in the same town! Great service! It's OK -- I would prefer something softer than will not coil and trip me. Wow....they arrived in record time and the product is better than expected! Tubing is clear plastic and replaced tubing I had been supplied with that had split in half. I will order form Vitality in the future for all of my needs.